Ashton Kutcher will play an Internet billionaire with a broken heart on the rebooted version of Two and a Half Men , according to the President of CBS Entertainment. His name will be Walden Schmidt, but unlike Charlie Harper, Walden will share no family connection to the other characters. After Charlie’s death Walden will buy the beach house. 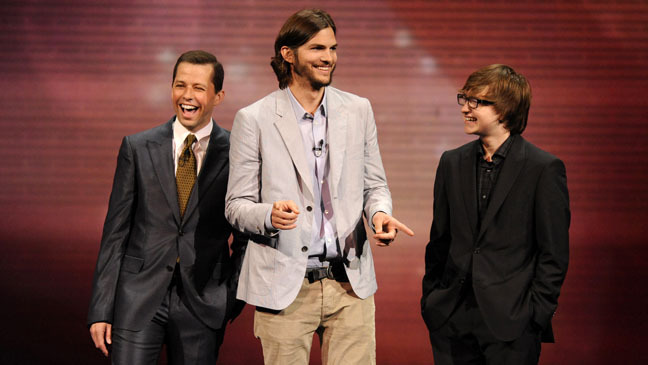 Ashton Kutcher is getting paid fro being part of Two and a Half Men, between $800,000 and $900,000 USD an episode. Charlie Sheen was making $1.25 million an episode, plus profit sharing which brought him to $2 million per show. Ashton will get the often-elusive “back end” profits as well.